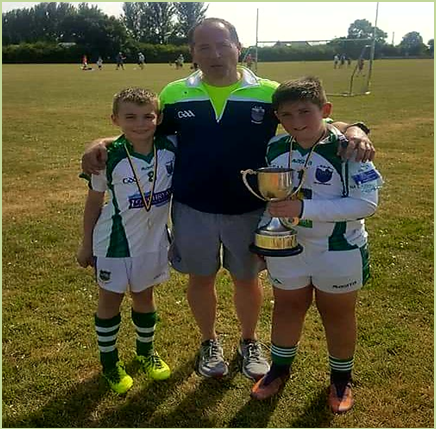 Cahir GAA Club would like to offer our condolences to the Burke and extended family on the recent passing of Michael (Mickey) Burke, Mickey was the Club Secretary in the late 1960's and very much involved in Juvenile matters. 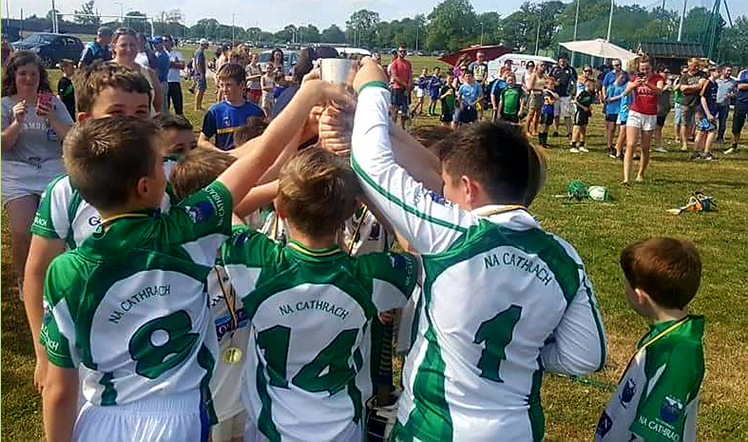 He was also a Board delegate and a mentor to Juvenile teams including the 1967 County under 15 Football winning team and was also stalwart worker and a proud clubman, on Saturday morning our club members held a fitting guard of honour for a true club man, our thoughts are with the Burke and extended Burke families at this sad time, Ar dheis Dé go raibh a anam. 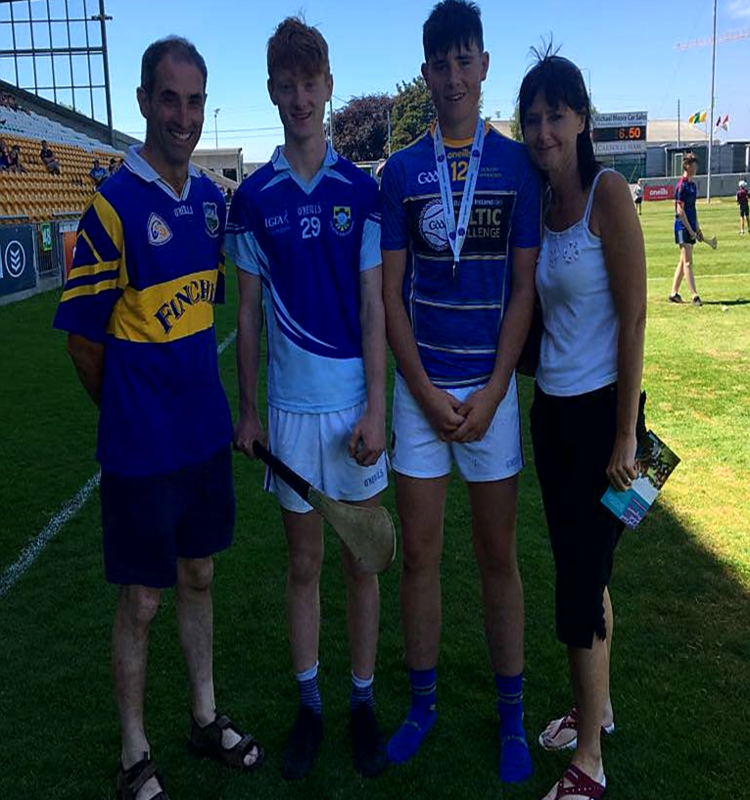 A South Tipperary hurling team got to the final of the division 2 All-Ireland final last Saturday where they took on a West Cork team in Tullamore, the game was a tight affair and had to go to extra time to split the two teams, sadly it was the Cork outfit who nicked it at the end, final score 1-19 to 2-17, this is a great competition for our younger hurlers and their clubs especially from the South, where they can learn as much as they can at a young age, it was great to see a South team in the final, and even more special to see a young club man representing Cahir GAA Club and that man was Kevin Grogan, well done to all the panel and to you Kevin,(in the picture below from L to R, are Larry Molan, Jake Kiely, the main man Kevin and his mum Maura Grogan, hope a good day was had by all. Hard to believe on Sunday 1st last we started year six of our draw the joker (where has the time gone) fund raiser, a special thanks to all the business's and to the six venues we use every Sunday evening where we do the draw, their kindness and support has been second to none over the last few years, and to all our members and supporters and indeed the wider general public who each week give generously into the Joker draw, as a club we do really appreciate you support as it helps this fine club keep going, without you all we could not keep going, as we said at the start a new year and we have a new venue on board to join the six venues we already use, the venue is Irwin's pub in the square, (pictured below) this land mark in the town was recently bought by the well-known Dalton family from Cahir, they have done a complete refurbishment job on the place and is looking great, we want to wish the Dalton's well in their new venture and hope it is a huge success for the years ahead, this week's winners: Pat Power, Paul Hassett, Damien Gleeson. Martin Collins and John O'Donoghue. 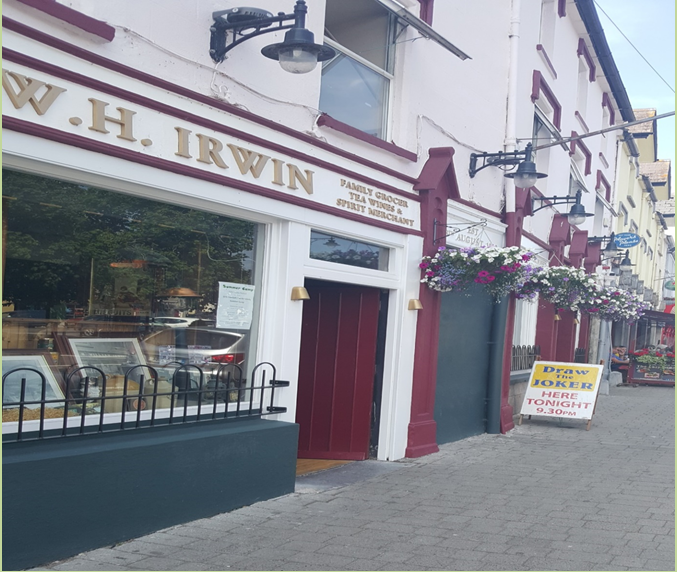 Not much happening on the pitch in the last week, but we have a mouth-watering fixture next Tuesday evening, when our Minor footballers are in action, up for grabs is a place in the South A Minor football final, the venue is Ardfinnan on Tuesday the 3rd throw in 7-30pm, they will play Moyle Rovers which should be a great contest, please step up and come along and support the team as these young men are the future of our club, and with your help we can all get them over the line, (you have been warned), best of luck to all involved. 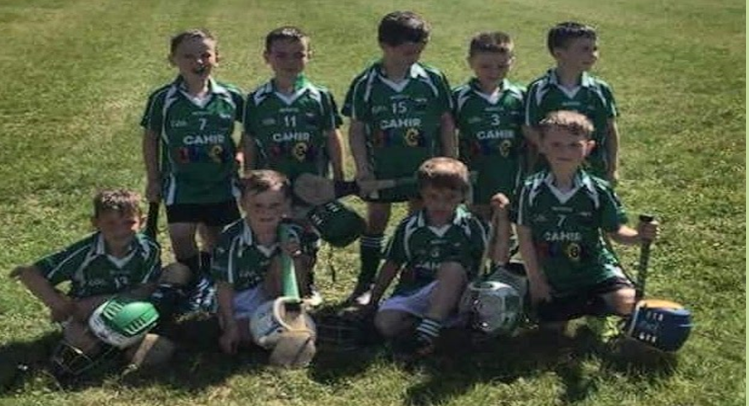 On Sunday 8th at 12 noon we play Moyle Rovers in Junior B football in Marifield, again please try and support our team, good luck to all the lads and mentors. A little birdie told us during the week that it was the Juvenile Chairman's birthday; we don't give any numbers away, so we will just say from all in the club happy birthday Tommy Barrett we hope you have many more to come Tommy, have a drink on us lad (don't know who's buying ?). 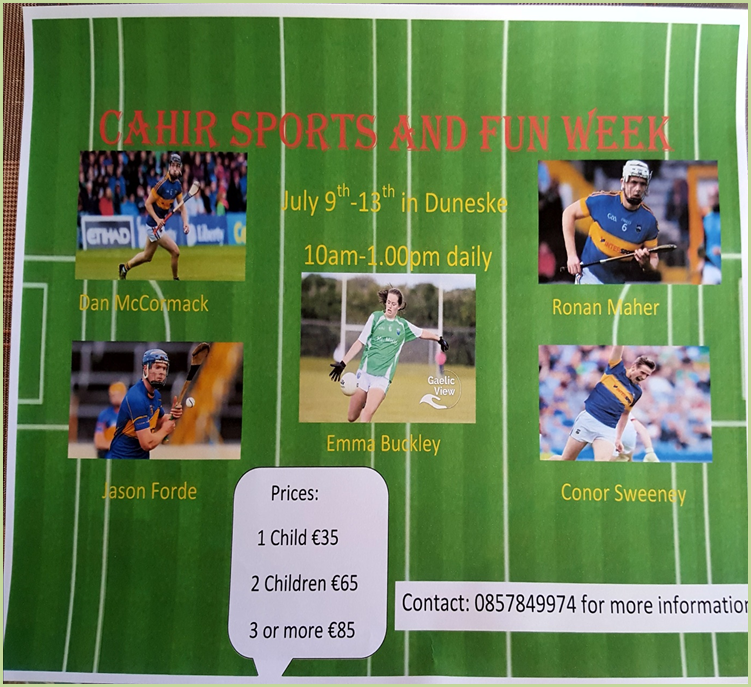 Cahir sports and fun week is quickly coming around, just a week to go and it is filling up fast, for all info. Have a look at the poster below, always a great week for the younger members of the club. 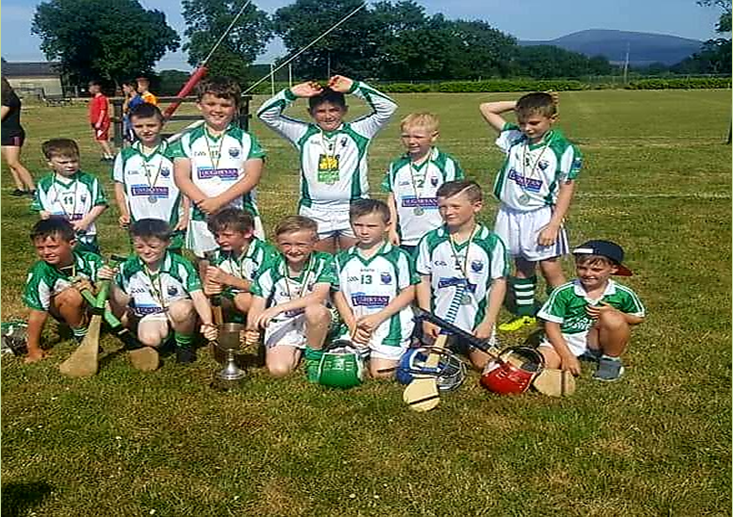 Our U10s won the Christian Flannery Memorial Cup, in Clerihan last Saturday, well done to all involved, below a few pictures from the day. 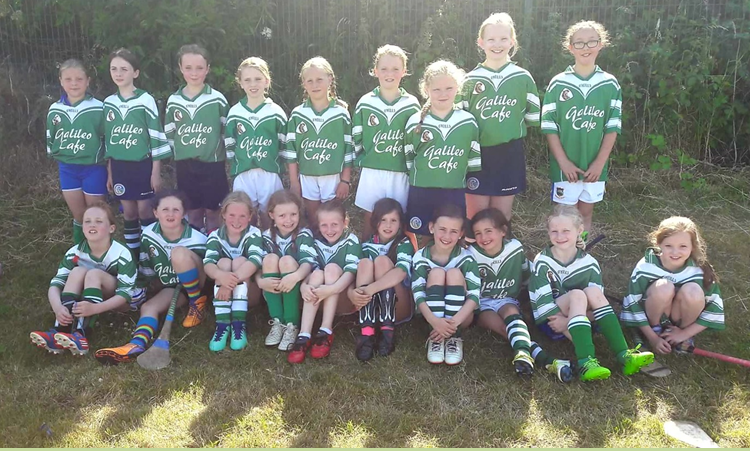 Our camogie U10s also had a county blitz last Saturday in Duneske, well done to all the young ladies, who had a great day, also a shout out to their mentors, great to see so much young talent on show all on the one day, below the u10 camogie team.